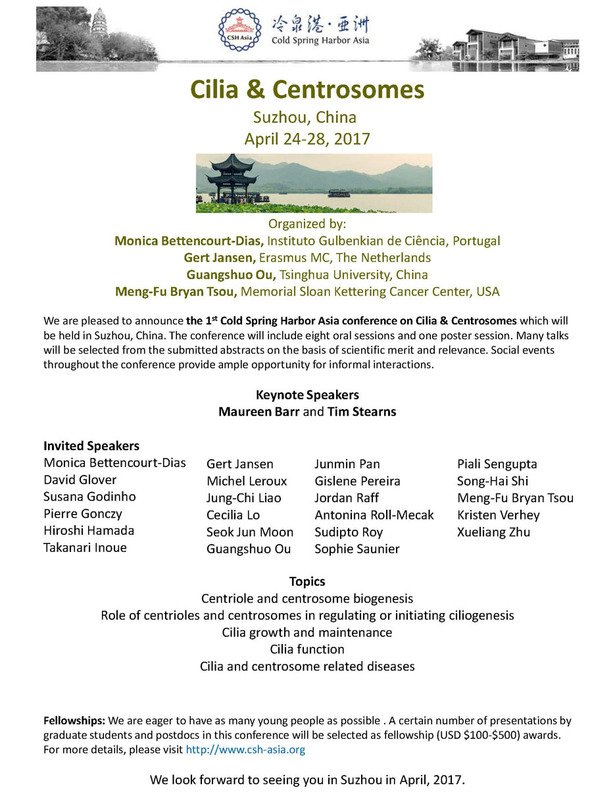 We are pleased to announce the 1st Cold Spring Harbor Asia conference on Cilia & Centrosomes which will be held in Suzhou, China. The conference will include eight oral sessions and one poster session. Many talks will be selected from the submitted abstracts on the basis of scientific merit and relevance. Social events throughout the conference provide ample opportunity for informal interactions.